This 5.9-inch handset is expected to feature a Qualcomm Snapdragon 805 SoC, 3 GB of memory and a 13 MP rotating camera. 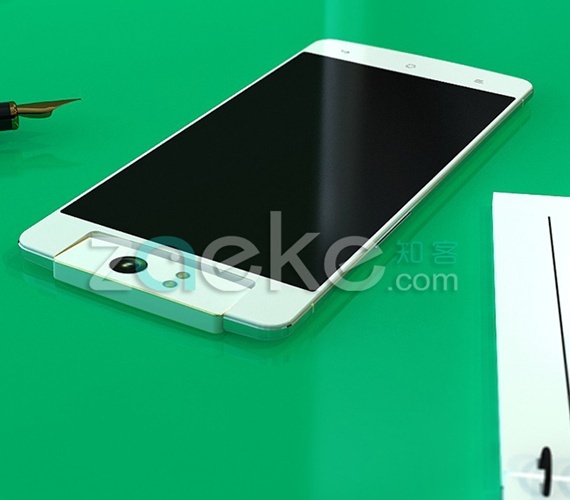 Oppo N3 has been in the rumor mill for a while, but only now we see surfacing the first specs of this upcoming phablet. The 5.9-inch device is expected to show up at the end of October, during the "One More Step" event which has been officially confirmed already. While none of these specs is official yet, Chinese website Zaeke.com published them next to two images of the handset. Oppo N3 has the same rotating camera design as the Oppo N1, while the 5.9-inch 1080p display also seems to remain unchanged. According to the website mentioned above, the handset will have a Qualcomm Snapdragon 805 SoC under the hood, coupled with 3 GB of memory. At last, the rotating camera is expected to have 13 MP. These last images show a whole new design when compared to previous shots that revealed a design with a thick cylinder on top to accommodate the camera, while the body was extremely thin. Remains to see which one was the real thing and which one was not.